Kinship care – The report found carers generally prioritized the children’s needs over their own. 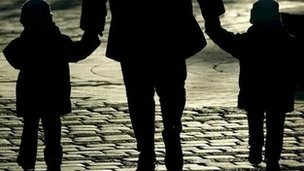 About a third of relatives looking after children because their parents are no longer able to can afford to provide basic items, a study has found. The report, by children’s charity Buttle UK, looked at 80 children who are looked after by family members outside of child welfare agencies. Only 31% of families could provide all eight basic essential items, like heating and warm clothes. Each child raised in kinship care saves the taxpayer up to £56,000 a year. The report is the second of a two-part study into kinship care carried out by Buttle UK and the University of Bristol. It looks in greater detail at the financial hardship and the quality of life of the children and their carers from across the UK. The majority of such arrangements are informal and the families have no automatic entitlement to support. A quarter of families could not afford to put the heating on when needed and one in five were unable to afford toys and sports equipment. Professor Elaine Farmer, from the University of Bristol, said the arrangements known as kinship care saved the state “considerable costs”. Buttle UK is now pressing for “urgent policy action” with key recommendations including a national allowance and improved kinship policies and practices. In 2011 the charity published the first part of the study which showed that under the 2001 Census 173,200 children – one in 77 children – were being brought up by grandparents and other relatives. It also found that 38% of children were being brought up by a sister or brother. The second part of the report found that young carers, including siblings, were the poorest of all informal kinship carers, with many managing on a weekly income of less than £200. Drug and alcohol problems were found to feature heavily in the background of the children’s parents and 88% of the children had been abused or neglected. Despite this, the research shows that informal kinship arrangements provide stability for children and as a result they do considerably better than children in care.